Hi everyone @livinguktaiwan here! It's Friday at last! What do you have planned for the weekend? I hope its something nice, or are you away on holiday lying on the beach already? Well, whatever you're up to, I've got some weekend reading for you. Nothing too heavy as we all want to relax over the weekend. This week @LadiesOfAsia are going to talk about fashion magazines in our country. First up reporting is @kawaiipower, who is back with us this week. 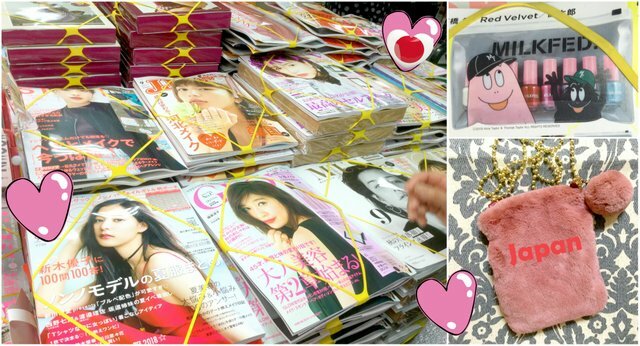 "In Japan it is common to have goods inside of fashion magazine! A lot of girls buy magazines based on the goods. They make very high quality goods like the dark pin bag which I got last winter when I purchased a fashion magazine. It's so soft and handy! Also in the magazine, model shows fashions with the bag, so it gives us some idea to coordinate. This month trend magazine goods are manicures, they offer variety of manicures with cute pouch :smiley:"
Here's what @nanosesame from Hong Kong has to say. 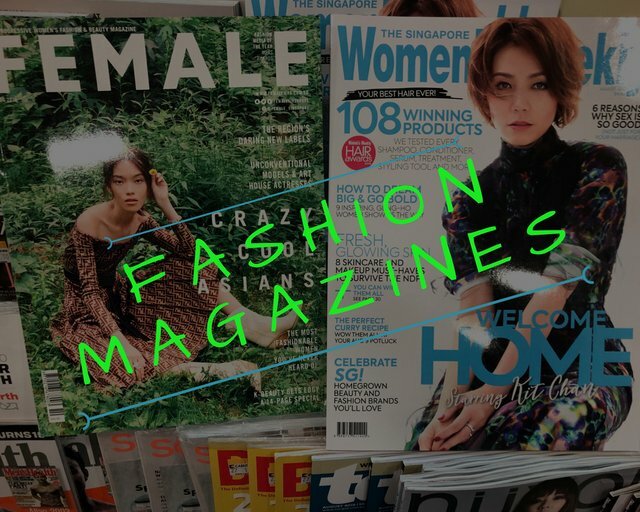 "The most popular fashion magazines in Hong Kong are the Japanese ones, either published in Japanese directly from Japan, or those translated into Chinese by the Taiwan publishers. The local fashion magazines aren't really very interesting. In fact when I applied for a new credit card I got a year's free subscription for a local fashion magazine, but I couldn't be bothered to pick it up from the 7-11 convenience store each month. I guess that tells you a bit about how good the local fashion magazines are. We also have a local edition of Vogue and Cosmopolitan, but without a doubt, the Japanese ones most popular. The photo on the left is the 7-11 which sell the local magazines, and the other photos are book store that sells Japanese ones. 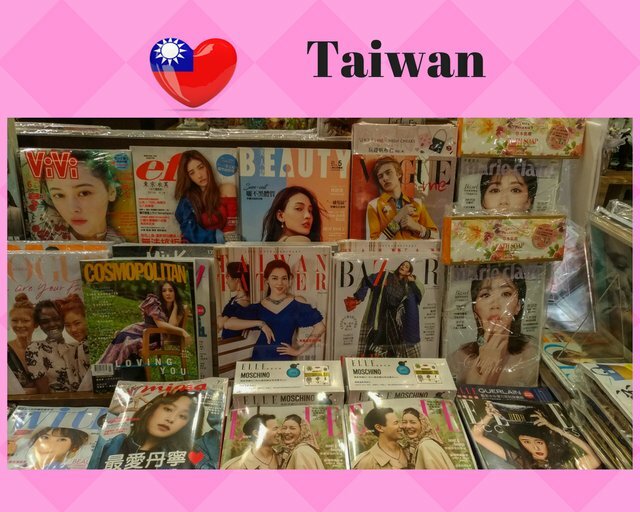 Taiwan has a good mix of fashion magazines including a local version of Vogue, Marie Claire, Bazaar and Cosmopolitan. Japanese fashion magazines are also very popular and the big book stores sometimes actually stock more Japanese magazines than local ones. Often the magazines includes a freebie gift that's why in the photo you can see boxes attached to the magazine. Perhaps they do this so the magazine takes up more space and can stand out from the others. My favourite magazine is Marie Claire but now I, @livinguktaiwan usually go to the the local library and read them all instead of buying them. It's more environmental friendly as well!!! 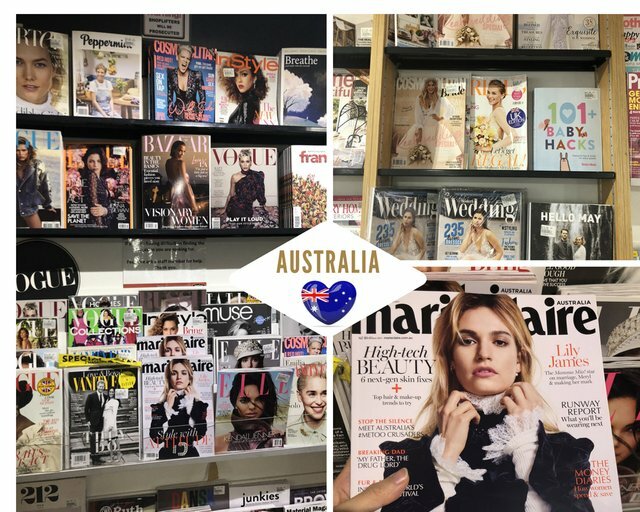 @travelgirl says in Australia, magazines is not as popular as they were before. They have the popular ones like Vogue, Marie Claire, Elle etc . Another section which was pretty popular is the bridal magazine section. This section actually has a wider selection than the local magazines on the shelf. She hasn't bought a magazine for a long time as she can get her info online or if she really wants to go and buy a magazine, she would rather visit the Japanese book store and get a Japanese magazine from there . There are a variety of fashion magazines in China, such as Elle, Bazaar and Rayli. And @mrspointm wants to introduce one named Women of China(中国女性杂志) which is aimed at improving the cultural recognition and taste of Chinese women. This magazine pays much attention to the development of women's career and sticks to the correct direction of public opinion. It's full of positive energy. The following photo is the screenshot taken from their website. @wanderlass from Philiippines is still on business trip in Australia this week so can't be with us. Hope you're enjoying the winter there!! @elizacheng from Malaysia isn't really a girly girl... Never bought any girly fashion magazine. She went to the nearest Popular bookstore to look for the magazines. She was surprised with so many different kinds of magazines available. They have Malay magazines such as Wanita and Cosmopolitan. English magazines they have CLEO, Her World, Female, etc. They also have Chinese magazines such as Choc, Mina, Beauty. Well, I sense a bit of a common theme here again with Japanese magazines being very popular in Hong Kong and Taiwan, and even as far afield as Australia!! 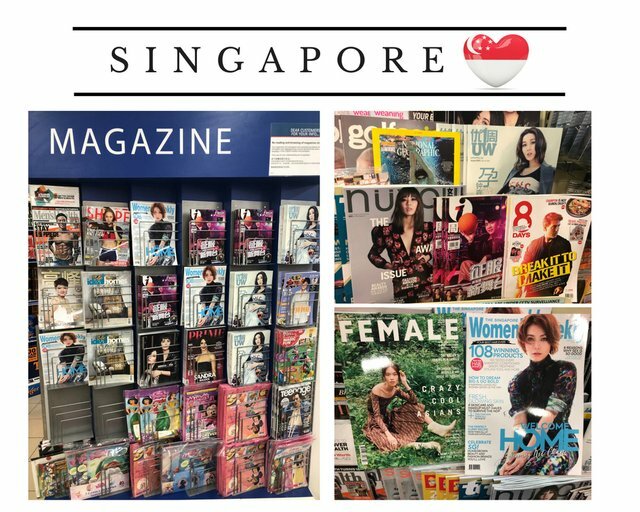 Seems like Malaysia and Singapore are quite focused on their multi cultural markets so have a good selection of both local and international fashion magazines. And it's great to see girl power on the rise in China!!! Go girls!!! !